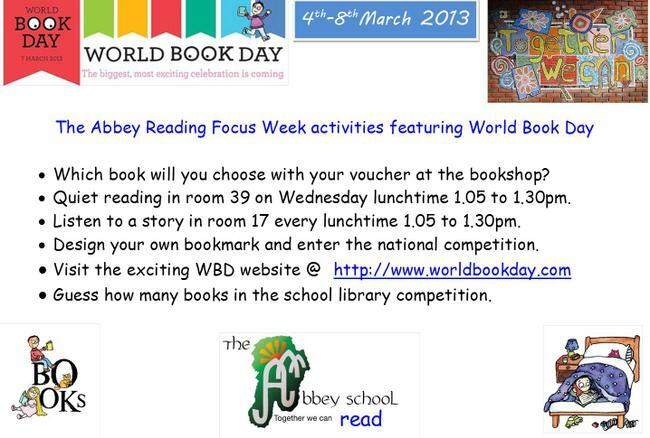 From 4th-8th March we are having a Reading Focus Week at The Abbey. We have chosen this week as it encompasses World Book Day on Thursday 7th. We don't need to stress how important reading is as a life skill, nor how much pleasure can be gained through the enjoyment of literature. Please see the picture below to view the activities the school community will be enjoying.